Apparently “you can always tell a Halo girl.” Who knew? 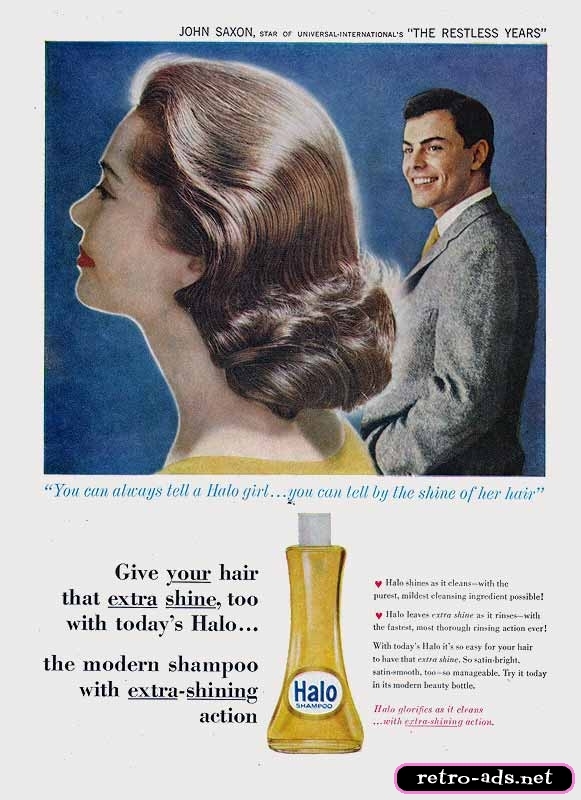 The ads tried to make it look glamorous, but I suspect the primary thing about Halo shampoo was that it was inexpensive. And thus ubiquitous. 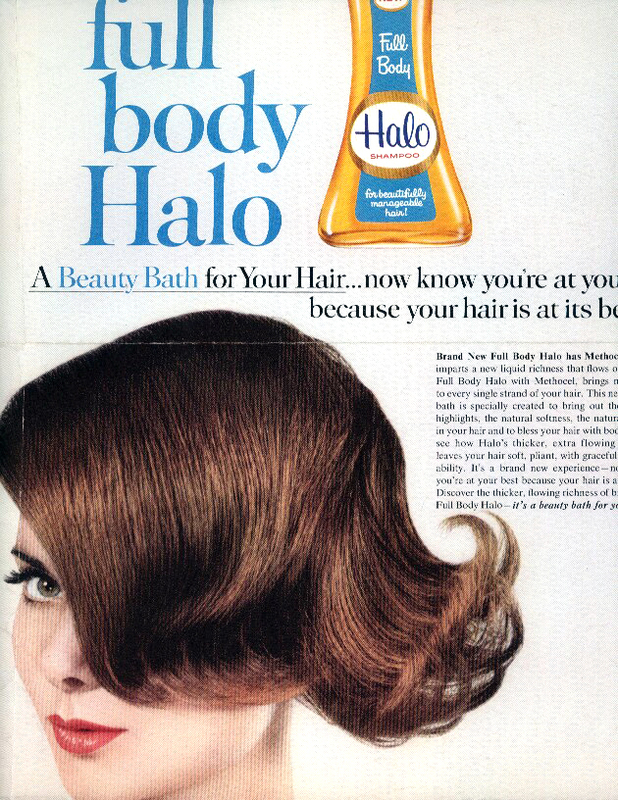 Halo shampoo – oh my goodness! Remember that? Wasn’t it kind of ubiquitous? (Perhaps because it was cheap?) It conjures up images (and the soapy, Halo-y smell) of Saturday-night bathtime when I was a little kid at the Manse. Who knew on those 1960s bath nights in tiny Queensborough, Ont., that we had something in common – our shampoo – with the glamorous young “professional gals” who worked at a glossy fashion magazine in New York City? 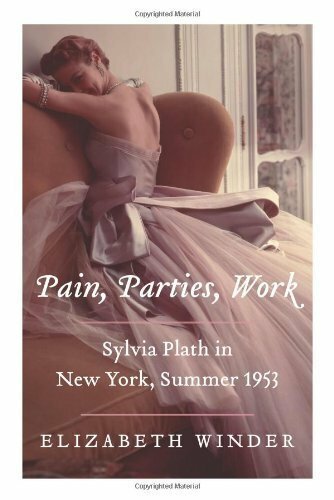 This entry was posted in Uncategorized and tagged Halo shampoo, Mademoiselle magazine, Queensborough, Sylvia Plath by Katherine Sedgwick. Bookmark the permalink.